Winnipeg police are asking for the public's help finding a missing 58-year-old woman. Winnipeg police are asking for the public's help finding 57-year-old Thelma Krull. She has been missing since Saturday morning. (Winnipeg Police Service)The family of a missing woman are urging people in northeast Winnipeg to keep any eye out for her, and check any surveillance camera footage they might have. 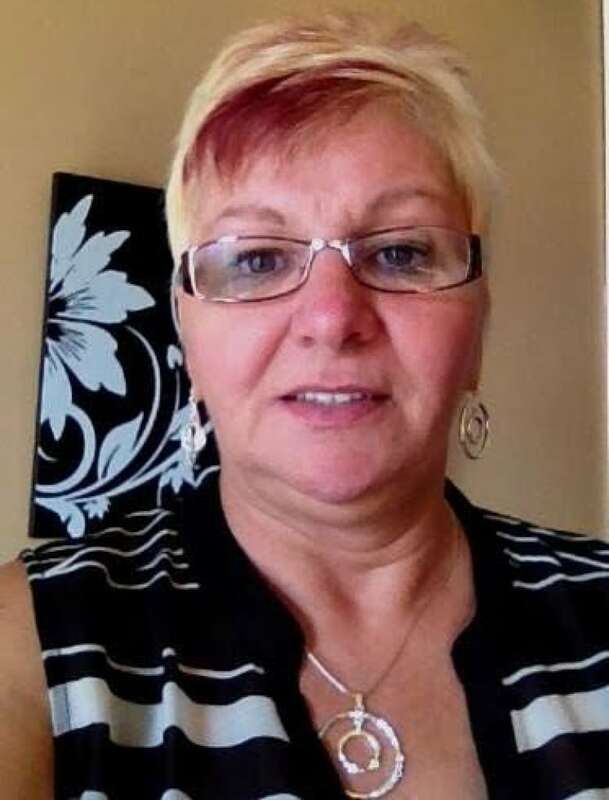 Thelma Krull, 57, was last seen Saturday morning at her home in the north part of Transcona. Family members told CBC News she had gone out hiking near Chief Peguis Trail Saturday. When she failed to show up for her grandson's birthday later that afternoon, they became concerned. "It's really nerve-racking, trying hard to keep it in and hold it together and not freak out," said Lisa Besser, Krull's daughter. "We just want to find my mom and get her home safe. We're a very close-knit family and this is not normal." Besser said her mother went for a hike in the morning Saturday to train for an event in British Columbia. "She's basically in training to do a west coast trail, which is a five-to-seven-day hike, so she goes hiking almost every morning," Besser said. "She will often do the Chief Peguis Trail or other trails in and around the Kildonan area." Krull is described as five-foot-four-inches tall, 170 pounds, and has short dyed-blonde hair with a purple streak and glasses. We're hitting almost 2 days of being missing. Freaking out is an under statement. My mom, Thelma Therriault Krull, is the nicest women [sic] I have ever known in my life with the sweetest heart who would help any friend in need and go out of her way to do so!!! Last seen leaving her house Saturday at 7:23 am. Heading either down Concordia towards Valley Gardens area or on Peguis [Street] towards Canadian Tire. Wearing dark capris or shorts and a bright coloured tshirt/tank - an ORANGE shirt we believe. IF YOU LIVE IN THE EAST KILDONAN, VALLEY GARDENS, HARBOUR VIEW SOUTH areas or anywhere nearby please let us know if you seen her. If you have a home security CAMERA please check it from 7:20-9 am Saturday. Please help me find my mom.